The resolve of the Winton community to rebuild the Waltzing Matilda Centre after its loss to a devastating blaze in the early hours of 18 June 2015, brings to mind the story of another Winton building – one that shares a connection with the destructive force of fire and the legend of Waltzing Matilda. The present-day North Gregory Hotel, opened in 1955, was also born from a show of resilience by the local council and community in the face of a night time calamity. What emerged was one of the most modern hotels to grace western Queensland, with its streamlined, horizontal sweep and decorative vertical fins bringing Art Deco styling to the outback. This is the story of not one building but four, and not one fire but three. It begins with the opening of the original North Gregory Hotel in 1879, long before any glimmer of modernity first materialised on the outback landscape. 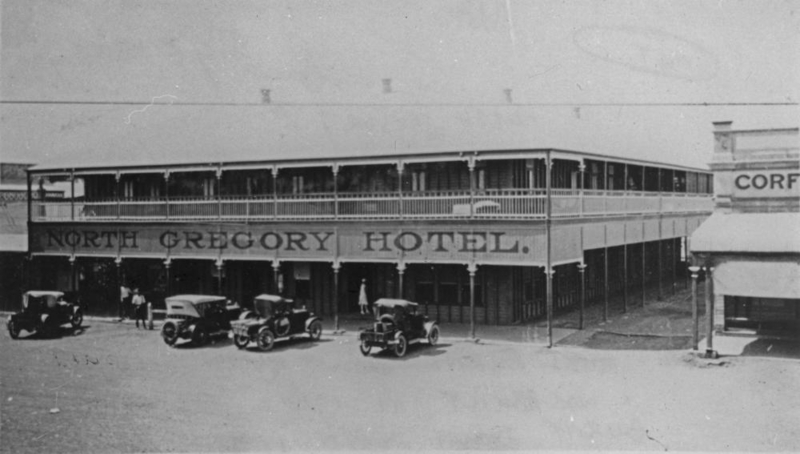 Named after the district Gregory North, later to become Winton, the first hotel shared an abiding connection with Australia’s most famed bush ballad. It was there, on 6 April 1895, that Banjo Paterson’s Waltzing Matilda was sung publicly for the first time, performed by Herbert Ramsay for Premier Nelson at a banquet celebrating the opening of the Hughenden-Winton railway. Only four years later the first fire struck and the hotel was razed. Its replacement, hurriedly constructed in the aftermath, suffered the same fate in 1915. 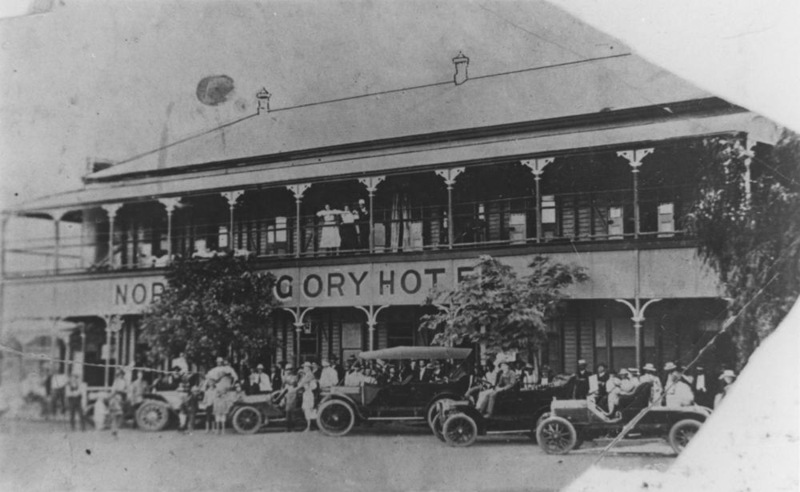 The third North Gregory Hotel, opened in 1916, was also remarkable for its place in Australian history. In the 1920s, Winton locals held meetings at the hotel to plot the beginnings of an outback airline that would become Qantas. 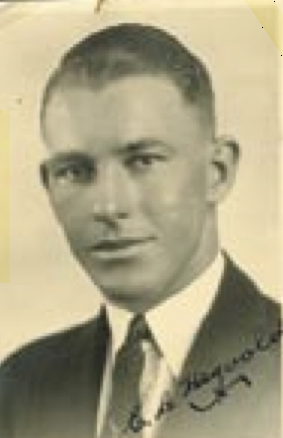 In 1942, as Queensland became a campaign base for the Pacific advance in the second world war, an American pilot and future president, Lyndon B. Johnson, stayed overnight at the hotel after his aircraft was forced to land due to mechanical difficulties. The third North Gregory stood strong for 30 years – surviving a decade longer than its predecessors – but it too burnt down in 1946, making way for what would become its Art Deco successor. On the evening of 8 August 1946, fire raged for over three hours in Winton, claiming the two-storied wooden hotel, a hair salon, tobacconist, jewellery shop, sports store and car dealership, causing over £30,000 worth of damage. Hotel guests had to be coaxed away from attempting to salvage their belongings into suitcases, escaping at the behest of police only minutes before the back stairwell collapsed. Sixty residents formed a “bucket brigade” that helped save the now heritage listed Corfield and Fitzmaurice’s Store neighbouring one side of the hotel, and the Royal Picture Theatre neighbouring the other. The loss of the hotel created a vexing gap in the community, both aesthetically and economically. Of particular concern was the lack of suitable accommodation for travellers, with the four remaining hotels unable to meet demand. The council set up temporary barracks to manage the overflow, and later relocated a service building from Townsville for the purpose. But it was feared the town’s progress was being impaired by a lack of comfortable lodgings for visiting officials and a slow attrition of businesses to other districts in the wake of the fire. With no private builders or individual investors stepping in to fill the gap, a public meeting was held in March 1947 calling on council to rebuild the North Gregory Hotel. Council accepted the challenge with gusto, and in early 1949 purchased the land, licence and good will of the North Gregory for £6200 from its previous owner, Mrs Morna Shanahan. Arriving at this outcome required considerable negotiation with the state, including an amendment to the Local Government Act in 1947 empowering local authorities to acquire hotels, and a special order-in-council in 1948 permitting Winton Shire Council to maintain licenced premises. Treasury authorised a series of loans over multiple years to cover the land purchase and construction costs, with debts recovered from extra rates charged to local graziers and town residents. To lead the hotel development, council brought together two shining lights of Queensland’s mid-century built heritage – Brisbane-based consulting engineer Jack Mulholland and Rockhampton architect Arthur Edward (“Eddie”) Hegvold. Mulholland (left) was a hard working, Harvard educated engineer whose other projects included supervising construction of Innisfail’s Art Deco water tower in 1933 and overseeing countless civic works programs that proliferated in Queensland country towns after World War Two. 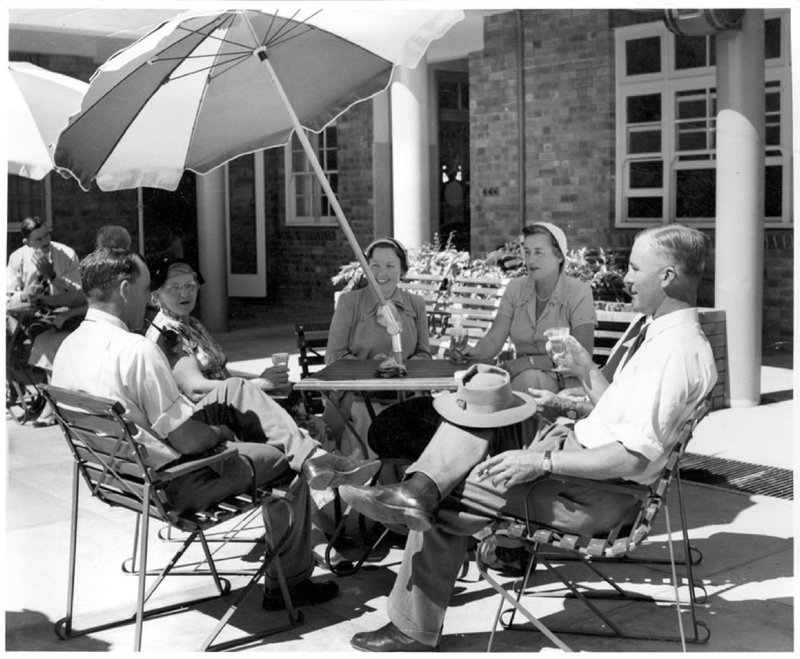 Hegvold (right) served at the US Army base in Rockhampton during the war and was exposed to new architectural trends and construction techniques which he later applied to his design of Longreach’s Art Deco fire station, and the interwar functionalist Amla residence and modernist RACQ Building in Rockhampton. In 1947 he won a design competition for the Crown Hotel in Rockhampton and it is interesting to observe the similarities between his vision for this building and the North Gregory Hotel (refer to illustrations below). 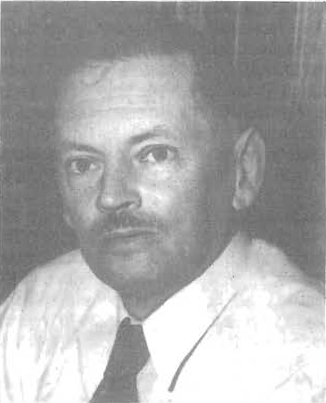 Hegvold was not the only “Eddie” involved in the North Gregory project, engaging as his assistant Cairns-born architect, Eddie Oribin, who went on to design some of North Queensland’s most recognisable modernist buildings such as the Oribin Studio in Cairns and St Paul’s Anglican Church in Proserpine. The strawberry brick and concrete building – adorned with eight stepped, white vertical fins, decorative balcony railings and a textured parapet – was built in a u-shape around a central courtyard that served as a beer garden. The external structure included six tiled, chrome-stripped shops with plate glass windows which council rented out to local businesses such as a frock salon and milk bar. Inside, the hotel boasted modern conveniences otherwise rare in outback Queensland, such as air conditioning, hot water piped to all rooms and full silver service. The lounge exuded a modernist love of colour, with blue and dark grey walls, a yellow door, peach ceiling, red-topped tables and blue chairs. Another acclaimed Queensland creative engaged on the North Gregory project was artist Daphne Mayo (below) who designed three glass doors leading into the hotel lounge. Widely esteemed as the leading woman sculptor in mid-century Australia, some of Mayo’s other Queensland works included The horse in sport frieze in the Art Deco styled Tattersall’s Club, the tympanum on Brisbane City Hall and the Queensland Women’s War Memorial in Anzac Square. The etched glass doors she designed for the North Gregory paid tribute to the European history of Winton and the significance of the hotel to the local community, depicting the Waltzing Matilda story, the birth of Qantas and the integral role of primary industries. While it was originally intended the hotel be leased to a private operator, by the time construction was nearing completion in 1954 the state government had granted permission for the business to be conducted as a council undertaking. Mrs C. Stanners, a well-known identity on the Queensland pub scene, having operated the Commercial Hotel in Longreach and the Central Hotel in Brisbane, was a popular choice when appointed by council as manageress. The North Gregory stayed in council hands for three decades, until 1987 when it was sold to private operators. 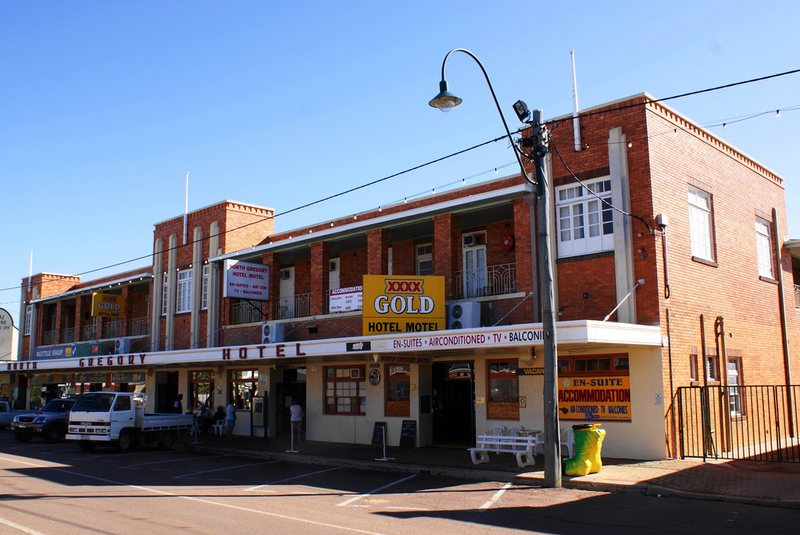 Today the hotel remains a significant landmark on the outback trail, both for its Art Deco built heritage and its connection with Australian history and mythology. North Gregory Hotel, Winton, 2007. Photograph by Cheryl Rodgers. Courtesy of State Library of Queensland. Image number 7207-0001-0044. This image is copyright and may not be reproduced without permission of the State Library. North Gregory Hotel, Winton, ca. 1907. Courtesy of State Library of Queensland. North Gregory Hotel, Winton, ca. 1924. Courtesy of State Library of Queensland. North Gregory Hotel Winton burning down in 1946. Courtesy of State Library of Queensland. North Gregory Hotel after a fire in 1946. Courtesy of State Library of Queensland. 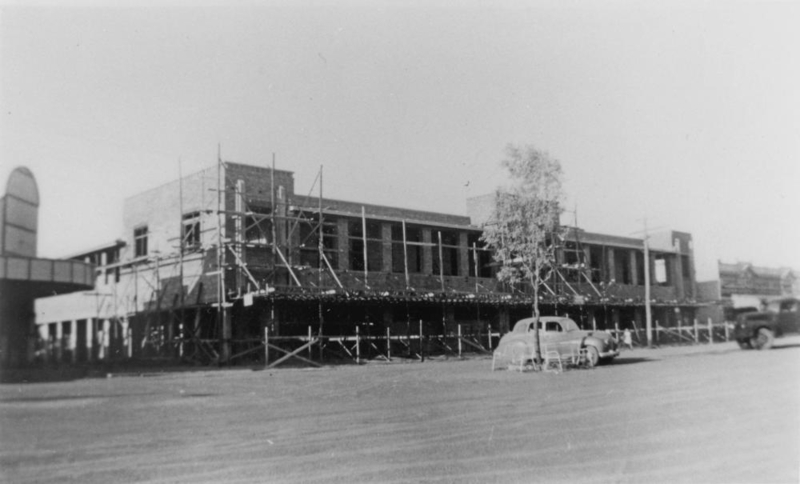 Construction of the 4th North Gregory Hotel, Winton, ca. 1950. Courtesy of State Library of Queensland. Jack Mulholland, photograph reproduced from The Courier Mail. Sourced from Eminent Queensland Engineers Volume II (below). Eddie Hegvold. Sourced from Time and Place: Queensland’s Cultural Heritage Newsletter (below). Hegvold’s Crown Hotel Design. Sourced from The Morning Bulletin (Rockhampton), 25 March 1947, p.5. Hegvold’s Plan for the North Gregory Hotel. Sourced from The Longreach Leader, 10 September 1948, p.9. North Gregory Hotel, Winton, 2006. Photograph by Chris Ring, Flickr. This image is copyright and may not be reproduced without permission of the photographer. Beer Garden, North Gregory Hotel, Winton, ca. 1960. Courtesy of Queensland State Archives. 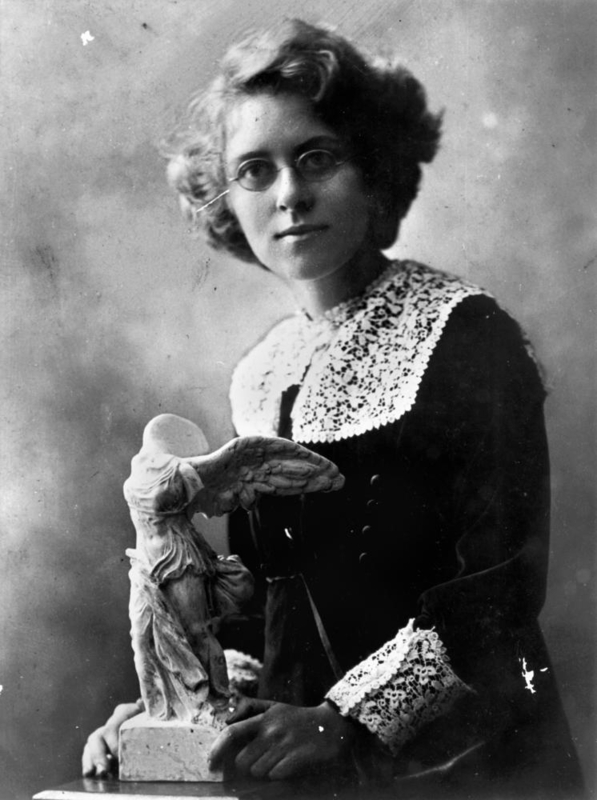 Portrait of Daphne Mayo. Courtesy of State Library of Queensland. 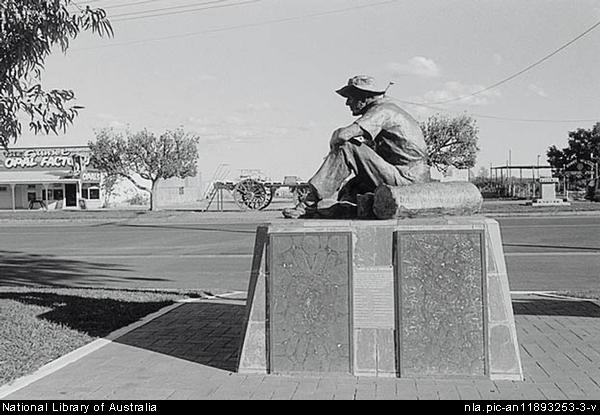 Jolly Swagman statue, by sculptress Daphne Mayo, at Winton, 1995. Photograph by Gordon Undy. Courtesy of National Library of Australia, an11893253-3. This image is copyright and may not be reproduced without permission of the National Library. The main sources for this article were newspaper clippings accessed through Trove. The following represents a small selection of references used. “1950 Will Be a Better Year for Winton.” The Longreach Leader. 14 December 1949, p.46. Cousins, Geoffrey. Eminent Queensland Engineers Volume II. The Institute of Engineers Australia, Brisbane, 1999. “Free Beer at Hotel Opening.” The Central Queensland Herald (Rockhampton). 21 April 1955, p.27. Hampson, Alice. “Eddie Hegvold and Central Queensland’s Mid-Century Modern.” In Time and Place: Queensland’s Cultural Heritage Newsletter, no. 14, 2006, p.4. Hampson, Alice. “My Favourite Place: Alice Hampson on the North Gregory Hotel, Winton.” In Time and Place: Queensland’s Cultural Heritage Newsletter, no. 14, 2006, p.8. McKay, Judith. Daphne Mayo: Let There Be Sculpture. Queensland Gallery/Gallery of Modern Art, Brisbane, 2011. Moir, Annette. “From Black Ruins, ‘The best country pub in Australia’: Queensland This Week.” The Courier Mail. 20 November 1954, p.9. “New Winton Hotel Nears Completion.” Townsville Daily Bulletin. 5 January 1955. p.1. North Gregory Hotel (website). Accessed 10 July 2015. We will be attending the Longreach wedding of our grandson to Maree Owens in October 2015. Now we are devastated with the Winton tragedy because we intended to do a week’s sight-seeing in the area. Please convince my husband and me to stick to our original plan. Reg and Leona Murphy. What a fascinating building! Wonderful to be educated on the mix of local and global significance of a single site. Makes me want to visit! For a town that has to continually face long periods of drought, not to mention the Waltzing Matilda tragedy, I am amazed by the resilience of the community in its ability to still offer world class attractions to visitors to the area.